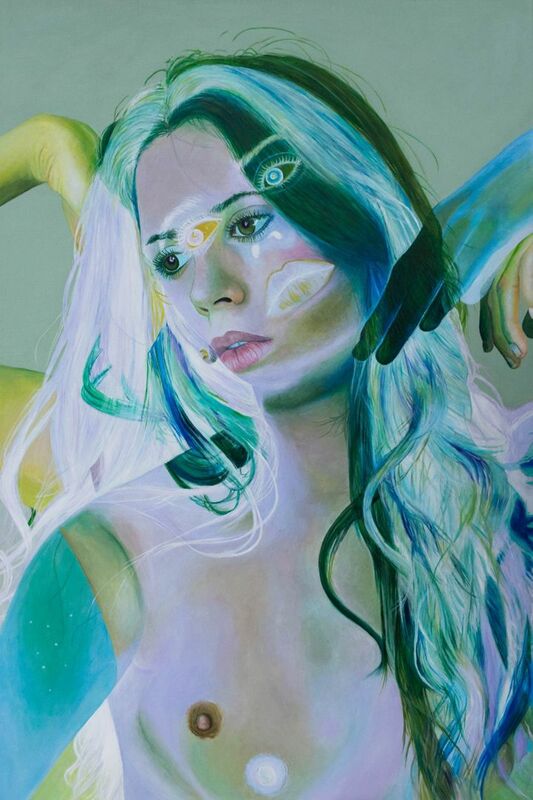 "Innocence Verde" by Emily Lovejoy for 'Spectra II,' on view at the gallery through April 13. Acrylic on canvas, 24" x 36". View the piece at https://helikongallery.com/shop/emily-lovejoy-innocence-verde/ and follow the artist at https://www.instagram.com/emilylovejoyart/.